MELBOURNE City midfielder Riley McGree's stunning scorpion-kick strike has been nominated for FIFA's Puskas Award for the most beautiful goal of the year. 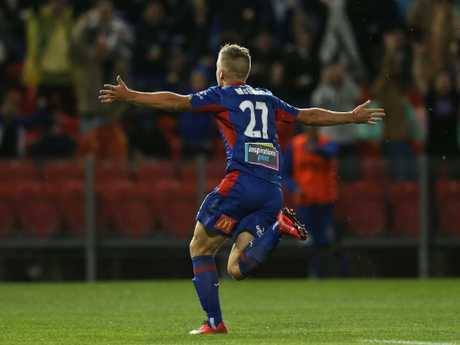 McGree's wonder goal for the Newcastle Jets in last season's A-League semi-final against his new club will go up against nine other strikes from some of the biggest names in the game. Ironically, Cristiano Ronaldo has also been nominated for a bicycle kick goal scored against his new side, Juventus. The full list of nominees is: Gareth Bale (Real Madrid), Denis Cheryshev (Russia), Lazaros Christodoulopoulos (AEK Athens), Cristiano Ronaldo (Real Madrid), Giorgian De Arrascaeta (Cruzeiro), Riley McGree (Newcastle Jets), Lionel Messi (Argentina), Benjamin Pavard (France), Ricardo Quaresma (Portugal), Mohamed Salah (Liverpool). Former Manchester United star Peter Schmeichel has nominated the Aussie underdog to take out the gong over global stars such as Ronaldo, Bale, Messi and Salah. "If I was voting, I wouldn't vote them (Ronaldo or Bale). I really love Riley McGree's goal. That is extraordinary that," Schmeichel told the panel at the Best FIFA Football Awards finalists announcement. "Just thinking about doing that; the ball is behind you, and flicking it with your heel. You see the goalkeeper stranded in the middle there. He's got everything covered. The one thing he didn't cover was that. I think it was brilliant". 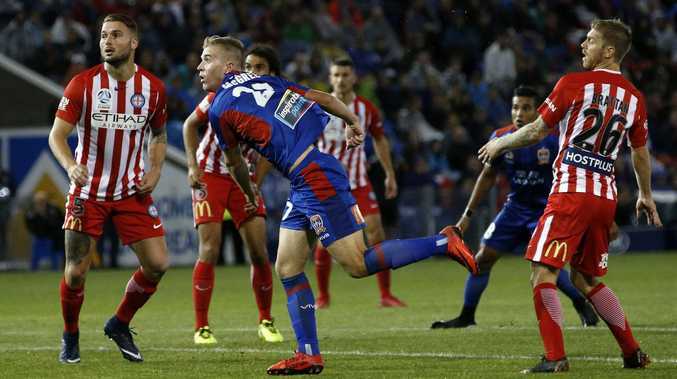 And given FIFA's criteria for the award, McGree has every chance: "An aesthetically beautiful goal, awarded without distinction of championship, gender or nationality, scored without the result of luck or a mistake and in support of Fair Play."